Keeping this in mind, Witty World Chikoowadi, organized a month long skating camp for the Sr. KG class. 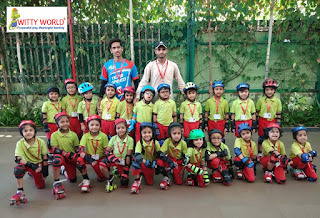 The camp was conducted by professional coaches taking all required safety precautions like helmets, knee caps and elbow guards. 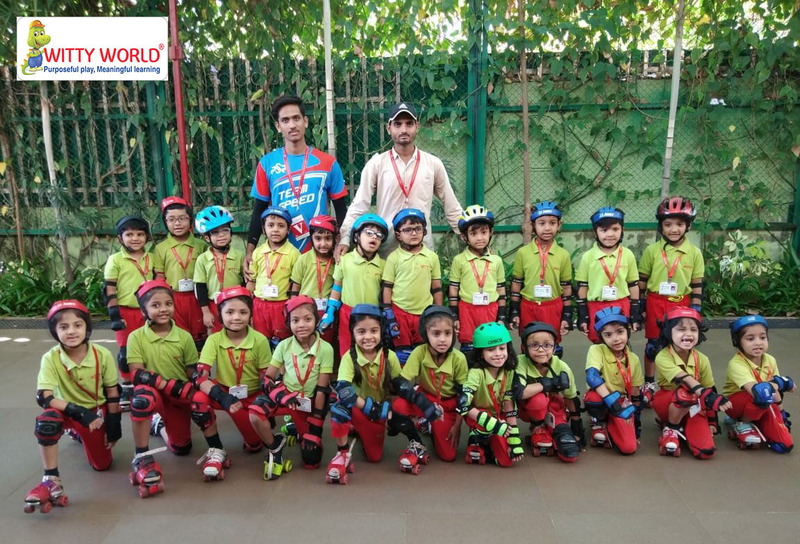 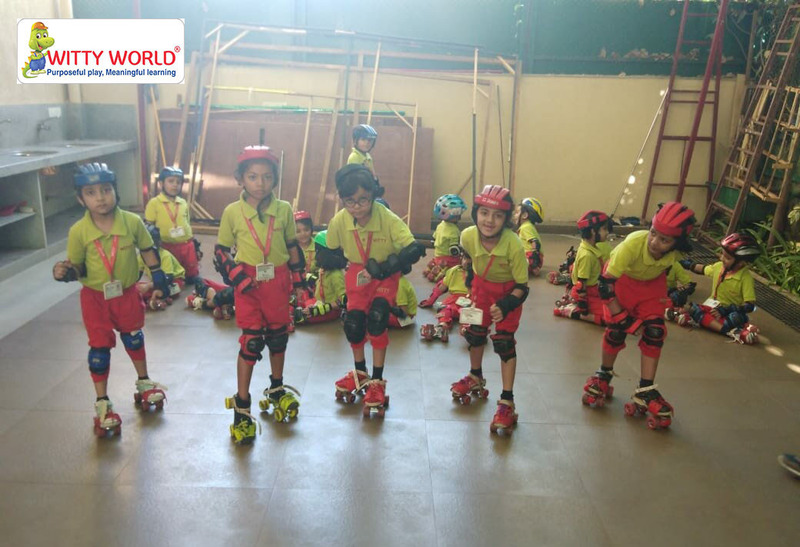 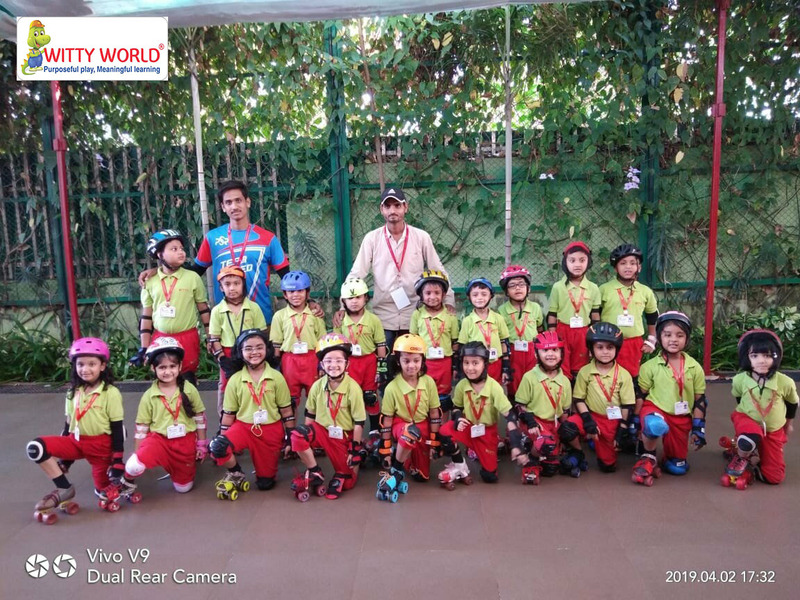 Children learnt to skate independently, move without support, safe falling, V- brake stop, sit on skates, pass through hurdles in different styles and also enjoyed playing games like “Freeze”, Racing and not to forget, most importantly, they learnt the importance of team spirit and sense of achievement. 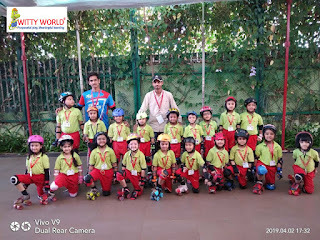 The one month camp came to an end on April 2, 2019. 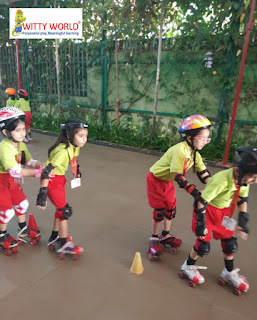 The camp was a great, group oriented, fun way to learn skating.